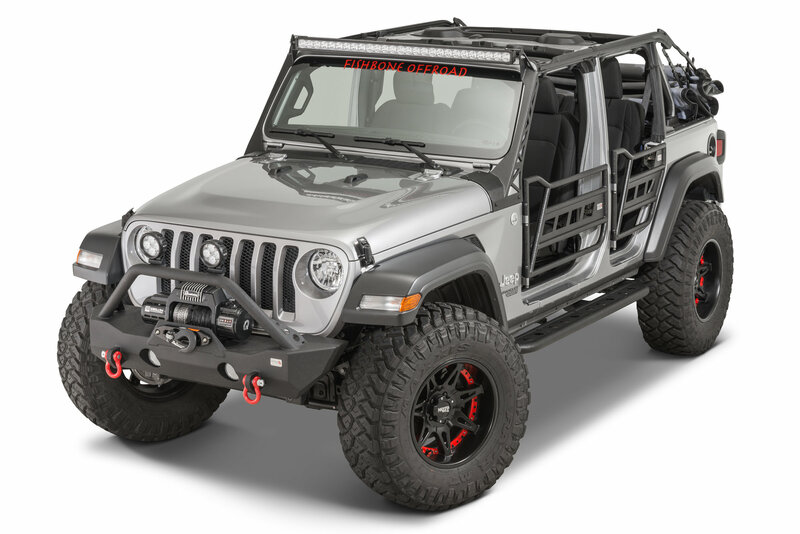 Take your Jeep experience to the next level with a set of Fishbone Offroad Front Tube Doors. These doors allow you to enjoy the feeling of driving without doors in your JL Wrangler, but with the peace of mind of added protection. The Tube Doors are 100% bolt on, and fit directly to the factory hinges. Fishbone Offroad builds their Tube Doors from fully welded steel tubing. The doors are finished in a rugged textured black powder coat that is both scratch and corrosion resistant. 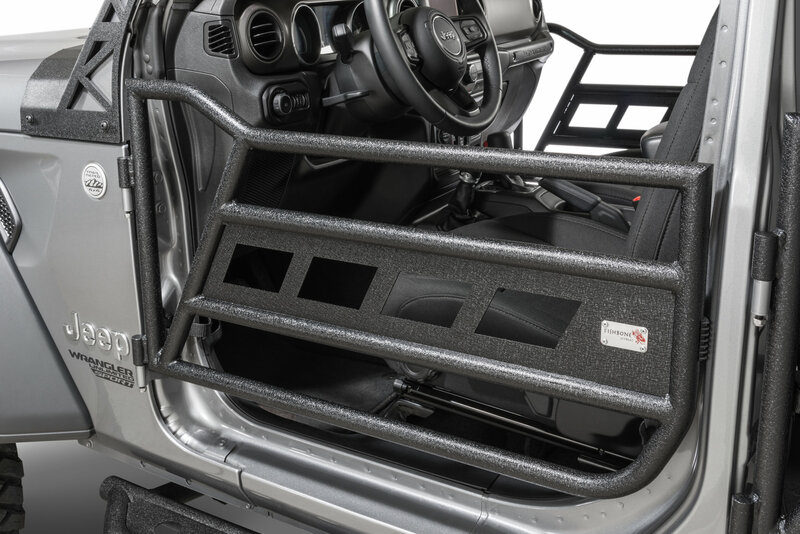 Complete Kit: The Fishbone Offroad Front Doors come with both front doors. Each door includes all required latches, hinges, and hardware. Heavy Duty Construction: The Front and Rear Tube Doors are made from fully welded steel tubing and finished in a durable textured black powder coat. User Friendly Design: Installing a set of Fishbone Tube Doors takes minutes. Simply remove your factory doors, and drop your new tube doors into the factory hinges. 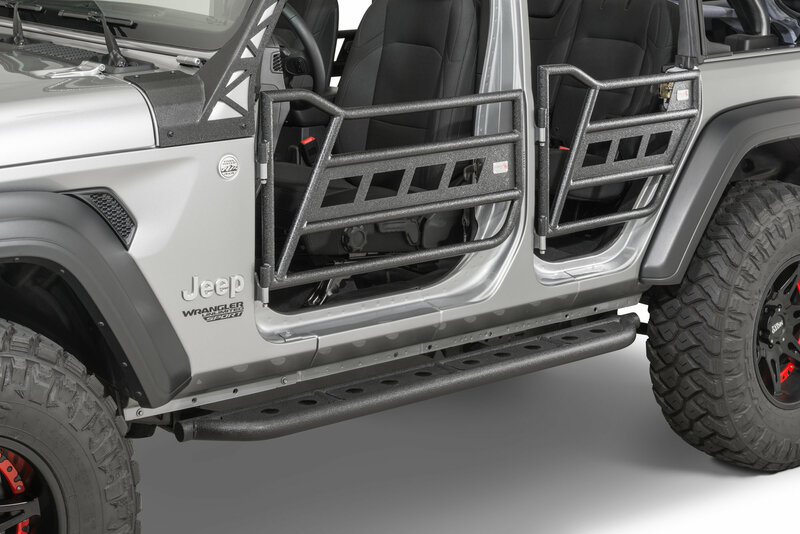 JL Specific: Fishbone Offroad Front Tube Doors are compatible with both two and four door model Wranglers.